At Hearing Dogs, we’re turning Black Friday into ‘Black Lab Friday’! To celebrate our amazing black Labrador hearing dogs (and all our other clever dogs) we are trying to get #BlackLabFriday trending on twitter this Friday, 23 November. To do this, we need your help. If you have a twitter account (or know somebody else who does), please start tweeting using the hashtag #BlackLabFriday tomorrow as close to10am as you can. 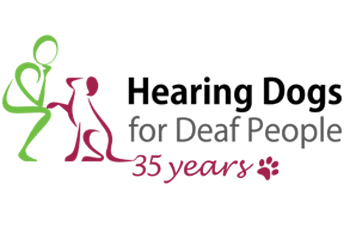 You will be helping us to spread the word about our clever dogs and how they change the lives of deaf people. Don’t have any photos of black Labs, but want to join in the fun? You can pick your puppy using our fun GIF and then tweet us a screenshot of the pup you chose. Click here to get involved. Sponsor superstar black Lab puppy Kai and get a free second puppy sponsorship, either for yourself or as a gift for a friend (it makes a great Christmas present). For today only, enjoy free delivery across our entire online shop range! By sponsoring Kai for £3 a month to support him in his training, you’ll get a free second sponsorship and regular ‘pupdates’ on how your pups are getting on. Make the most of free delivery and start your Christmas shopping today! You won’t have to pay for delivery for anything you buy today, across our entire range. Use voucher code BLACKLAB18.